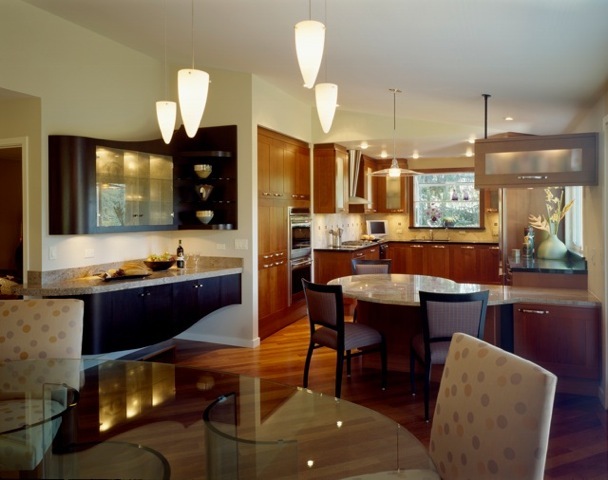 Unlike many remodeling projects, this one, in the client’s opinion, was “pretty much a joy from start to finish”. Once their interior walls and ceilings came down, the potential of the space they’d lived with for thirty years became obvious. 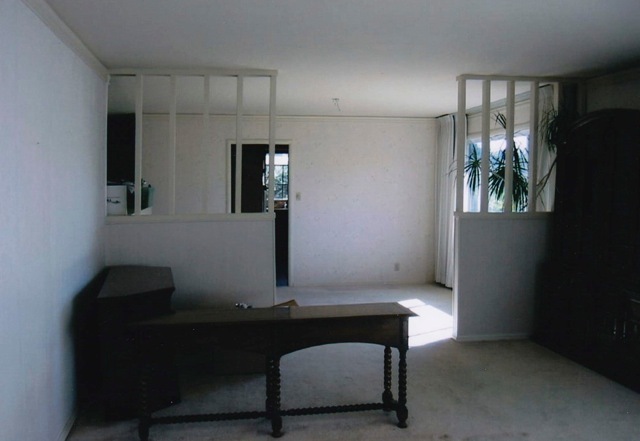 Previously, the kitchen was closed off and isolated from the dining and living spaces. The challenge was to transform this space into an open, inviting one that could handle their large family and frequent social gatherings, averaging 12-16 guests at a time. Now the client can comfortably seat ten at the free-form glass dining table and six around the kitchen island with plenty of serving space on the buffet. They’re thrilled with the sociable openness of the new space and with how easy it is to maintain.